1 Combine macaroni, olives, green onions and celery in large bowl; set aside. 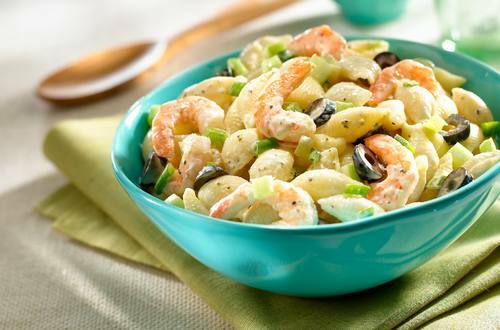 2 Combine Hellmann's® or Best Foods® Real Mayonnaise, lemon pepper, mustard and garlic salt; stir into macaroni mixture. Gently toss in shrimp. Chill at least 3 hours.